Cayo Levisa hotel is the perfect place for travellers who are looking for a traditional island paradise with a stunning beach, fabulous snorkelling & the opportunity to wake yards from the ocean. Cayo Levisa is a great choice for anyone who wants a relaxing, secluded holiday with individual bungalow rooms & a restaurant right on the beach. Only reachable by ferry twice per day from the small harbor of Palma Rubia, this is an idyllic retreat with a long, white beach surrounded by tropical vegetation & inquisitive wildlife. 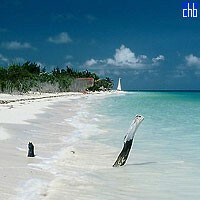 Cayo Levisa should therefore appeal to nature lovers as well as beach & watersports enthusiasts. 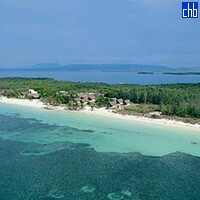 Hotel Cayo Levisa has a bar & two restaurants providing good quality, though limited options. 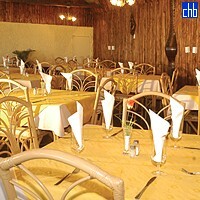 You will find a willing, friendly attitude from staff, whether making food to order or delicious cocktails. There is traditional Cuban entertainment in the evening with daytime activities including salsa, Spanish lessons & beach volleyball, while guests can have massages or beach hammocks for a small fee. 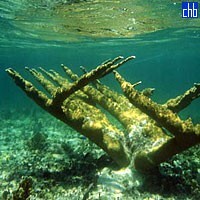 This is a particularly great location for diving & snorkelling with numerous dive sites & wrecks as well as a coral reef 100 yards from shore. For all its old-fashioned island charm, some visitors may be deterred by the occasional power shortages at Cayo Levisa & the water, delivered daily by boat, often runs out by late evening. However, its facilities are currently being developed with a new restaurant, reception & rooms so these problems may eventually be resolved. As things stand, the beautiful beach & turquoise waters provide a feeling of paradise which more than pays off for the quirks at Cayo Levisa – where you can step from your cabana & be in the surf in seconds. If you want a quiet place where you can enjoy a traditional slice of the Caribbean, you won’t find many more idyllic locations than Cayo Levisa. 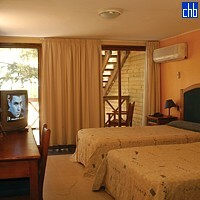 These are the newer rooms - more spacious & individual but set a little back from the restaurant & the beach (100 meters). 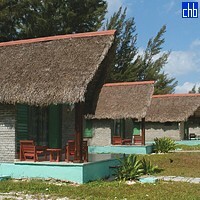 Designed to blend naturally with the tropical environment, the tropical rooms at Cayo Levisa are basic wooden cabins with air conditioning, satellite TV & a safe. 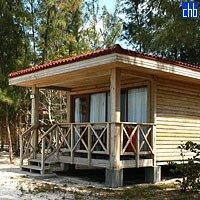 All are ensuite with verandahs from where you can enjoy stunning ocean views. These have the best views & consist of 2 set of rooms with separate entrance (not connected). All rooms have twin beds.